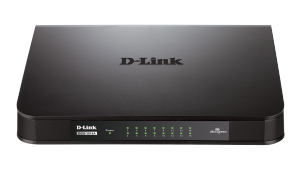 The D-Link 5-Port Gigabit Switch transfers data at blazing gigabit speeds, boosting your network performance when running bandwidth-intensive applications or gaming. Environmentally friendly, the 5-Port Gigabit Switch adjusts power usage and reduces energy consumption without affecting operational performance. 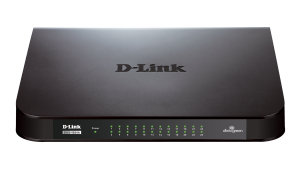 The D-Link 8-Port Gigabit Switch transfers data at blazing gigabit speeds, boosting your network performance when running bandwidth-intensive applications or gaming. Environmentally friendly, the 8-Port Gigabit Switch adjusts power usage and reduces energy consumption without affecting operational performance. 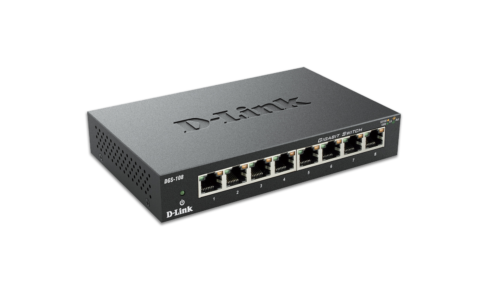 The D-Link DGS-1024A is a 24-Port 10/100/1000Mbps switch that works with your current Ethernet network while allowing you to upgrade to gigabit speeds. 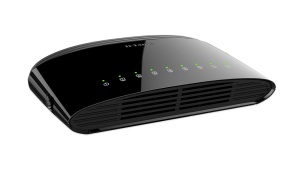 With an aggregated bandwidth of up to 48Gbps and up to 9K jumbo frame support, its addition to any network will dramatically improve traffic flow and eliminate bottlenecks. Installation is plug-and-play, as every port supports auto-MDI/MDI-X. 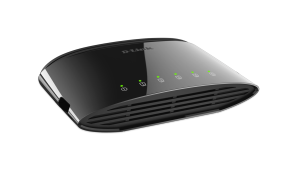 DGS-1024A is an economical solution for bandwidth-intensive environments needing a compact desktop form factor.